The Louis Couperus Museum is located in the narrow part of Javastraat, close to Koninginnegracht. 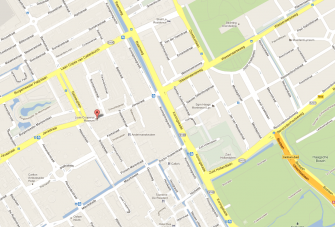 It is walking distance from Panorama Mesdag in nearby Zeestraat, and Museum Mesdag in Laan van Meerdervoort. From Central Station: Bus 22, Bus 24, Trams 9 and 17 (all: direction Scheveningen). From Hollands Spoor: Tram 1 (direction Scheveningen). All: stop Javastraat. Paid parking right outside the museum. Click here in order to see this street plan more clearly and to find your way to the museum.